Over 900 business appointments took place over the two workdays with the participation of over 600 tourism professionals from among 65 wholesalers, 83 hotels and the tourism offices from the destinations. Seventy percent of the wholesalers were domestic, the rest were foreign. 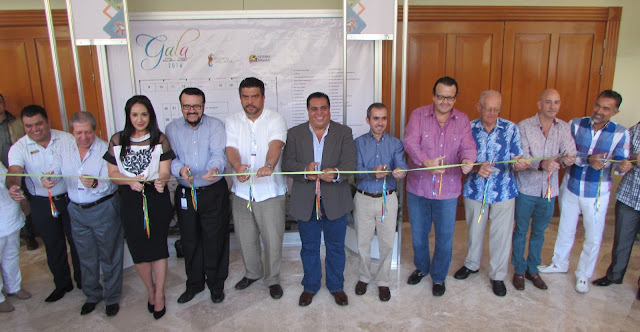 The 23rd Gala Vallarta-Nayarit has served to strengthen the promotional alliances between wholesalers and the national and international airlines with the Riviera Nayarit and Puerto Vallarta’s hoteliers. “Now that we’re talking about the tourism recovery it’s important to mention how essential the trust of our wholesaler and airline partners has been. They were steadfast in their support during our darkest hours, strengthening our alliances and making them long-lasting,” said Fernando González Ortega, President of the Banderas Bay Hotel and Motel Association. González Ortega also extended his gratitude to Governor Roberto Sandoval for the safe environment achieved in Nayarit. The Riviera Nayarit and Puerto Vallarta have together created in this Gala one of the most privileged tourism industry events in Mexico. Unlike the Tianguis Turístico, tour operators and airlines come to negotiate only with these host destinations. Over 900 business appointments took place over two workdays with the participation of more than 600 tourism professionals from among 65 wholesalers, 83 hotels and the tourism offices from both destinations. Seventy percent of the wholesalers were domestic, the rest were foreign. The Gala Vallarta-Nayarit allowed the hoteliers and wholesalers to formalize nearly 80% of the commerce that will take place during the second half of 2016 and the first half of 2017.